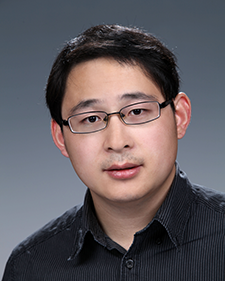 PNNL researcher Xiaoliang Wei was recently recognized with the Ronald L. Brodzinski Early Career Exceptional Achievement Award. PNNL’s annual Ronald L. Brodzinski Award recognizes individuals who are early in their careers and already have shown outstanding published scientific or engineering contributions in fields of importance to PNNL, the Department of Energy, and other sponsors. The award is named after Ronald Brodzinski in honor of his 40-year career at PNNL, during which time he mentored a large number of students and junior staff. Wei was chosen as the 2016 recipient for his leadership and technical contributions in developing next-generation redox flow batteries for grid energy storage applications. He was recognized at the Pathway to Excellence banquet in September. Wei joined PNNL in 2011 as a post-doctorate research associate before being promoted to scientist in 2013. He earned his bachelor’s degree in Materials Science and Engineering at the University of Science and Technology of China, and his Ph.D. in chemistry from Brown University. Since 2012, his research has made it into 31 publications.